The trailer for the new Detective Pikachu movie caused a lot of controversy when it first hit the internet on Monday. Ryan Reynolds voices the yellow pocket monster and people are having feelings about that choice. But one Twitter user has now fixed the movie by adding exactly what this film needs: The voice of conspiracy theorist Alex Jones. Video editor and YouTube celebrity Dolan Dark created the remixed trailer and it’s now 100 percent better. Well, if not better, then it’s... just psychotic enough for the year 2018. 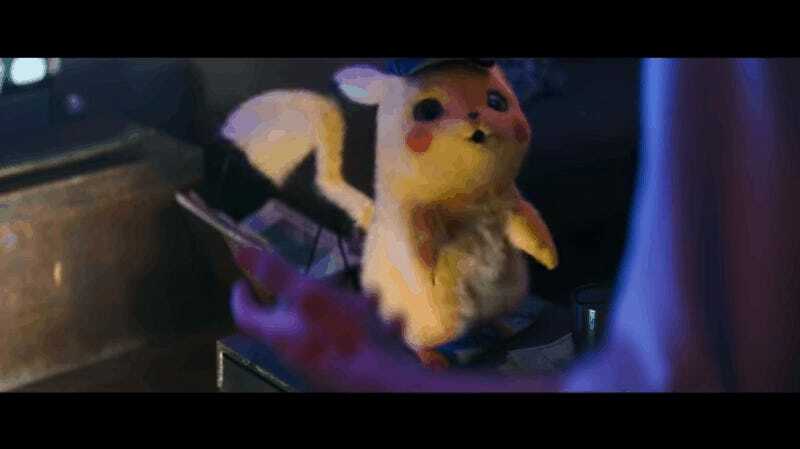 If you haven’t seen the real trailer for Detective Pikachu yet for comparison, here you go. You’re welcome, I guess. Alex Jones, who’s been banned from Twitter and Facebook, almost feels like a retro-novelty when he pops up on these platforms now. Remember early 2018? We were such dorks back then. The InfoWars conspiracy theorist has previously said that the 9-11 attacks were an inside job and that the Sandy Hook massacre was orchestrated by the U.S. government using actors. Twenty young children and six adults were slaughtered at Sandy Hook Elementary School in 2012. It wasn’t a government conspiracy, but Jones doesn’t care. He just wants to sell his overpriced vitamins. It’s funny to see him in the voice of Pikachu, but the InfoWars idiot is actually no stranger to voice acting work. Jones was featured in the movie Waking Life (2001) after he was introduced to director Richard Linklater, better known for movies like Boyhood (2014) and Dazed and Confused (1993). You can watch a clip of Jones playing a conspiracy-minded “character” on YouTube. Hard to tell the difference, eh? Everything is completely unhinged now, so we may as well embrace it. Things aren’t going back to normal anytime soon. Bring on the Alex Jones Pokémon, bring on the president who’s afraid of the rain, and bring on the creepy fish monsters to haunt your nightmares. Let’s get weird. Pokémon: Detective Pikachu opens in theaters on May 10, 2019, provided we all live to see that date. I’m not holding my breath. Remember That Time Alex Jones Tried to Start a Y2K Riot?